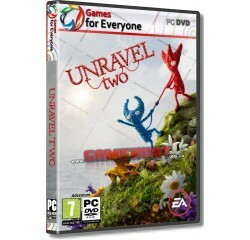 Unravel Two - R140,00 : Game Hunt, Where we lead, others follow. Begin your adventure in a cold and imposing land, then watch your surroundings blossom with new life as you chase the spark of adventure. Dive into an immersive story filled with energy, exuberance, inspiration - even monsters. Approach every challenge with positivity and fearlessness to awaken the world around you, and discover an unbreakable bond between friends. Two Yarnys - always! Form a bond with friends and other players in seamless local co-op. Support each other as you solve tricky trials and seamlessly traverse enchanting worlds together. Or, as a single player, create two Yarnys of your own and unlock special abilities along your adventure. Processor - Intel i3 2120 @ 3.3GHz or AMD FX 4350 @ 4.2 GHz® or equivalent AMD® processor.